Conservative State Project endorses John Oxendine for Georgia Governor……. Joining our long list of conservative candidate endorsements like Tom Coburn, Jim DeMint, Marco Rubio, Peter Schiff, Paul Broun, Peg Lusisk, Michael Williams, John Thune, Gary Herbert, Bob Vander Plaats, Jeff Flake, Sam Brownback, Ron Paul, Louie Gohmert, Tom Price, Tom McClintock, Spencer Bachus, and Rick Perry, Conservative State Project is pleased to endorse John Oxendine for Governor of Georgia. 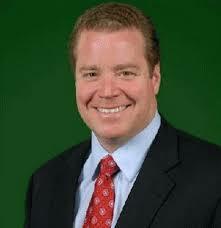 FairTax: If elected, John Oxendine has stated that he would implement the Fair Tax. For those who don’t know, the Fair Tax is a progressive national retail sales tax, a prebate to ensure no American pays federal taxes on spending up to the poverty level, Dollar-for-dollar federal revenue neutrality, and a repeal of the 16th Amendment through companion legislation. This is a very good idea and I believe it will truly help GA’s economy in a positive way. GA Tax Code: If elected, John Oxendine has stated that we need to scrap the current Georgia tax code. He also says that Georgia needs to develop a revenue program based on our modern economy and not the Industrial Revolution’s, and that we must manage Georgia with a solid conservative, free enterprise philosophy, cut out those functions best managed by the private sector, and have a tax code that does not tax income. This is not only a good idea, this is a GREAT idea! Transportation: If elected, John Oxendine has stated that, to solve the transportation problem, we must build a western bypass and a fallline freeway. This western bypass would start at Ringgold, go through Summerville, Carrollton, Newnan, and end at Macon. The fallline freeway would start at Colombus, go through Macon, and end at Augusta. This would ease the difficulty that the businesses in South Georgia have when they are going north to ship products. Another idea to ease congestion around the connector is to build a paralell connector, connecting I-85 to I-75, and also going through I-20. Water: If elected, John Oxendine has stated that, to solve the Water problem, he would start the process of digging a series of state-owned and operated resivoirs over North Georgia. This will help to preserve water and give the local citizens access to their water, and it will help bring industry to Georgia. Abortion: If elected, John Oxendine has stated that he will use the power of the Governor’s office to create an environment where abortion providers will not want to do business in Georgia any longer. He will enforce existing law and use the state Constitution to put Planned Parenthood and other abortion providers out of business in Georgia. Life is a precious gift from our Creator. Abortion is the taking of that precious gift, an innocent life. As Governor, he will oppose abortion at any point of gestation. Our support for life should be supplemented by an amendment to the Georgia Constitution proclaiming a “paramount right to life”.